it’s not necessary to name names or bash their sonic efforts. But just know Al Hudson & One Way are the real deal. There’s no need to educate them on this era of music, they were THERE in the thick of it and more importantly still kicking today. Some would even say that along with such group as Slave, Zapp and many others, they helped define the genre. 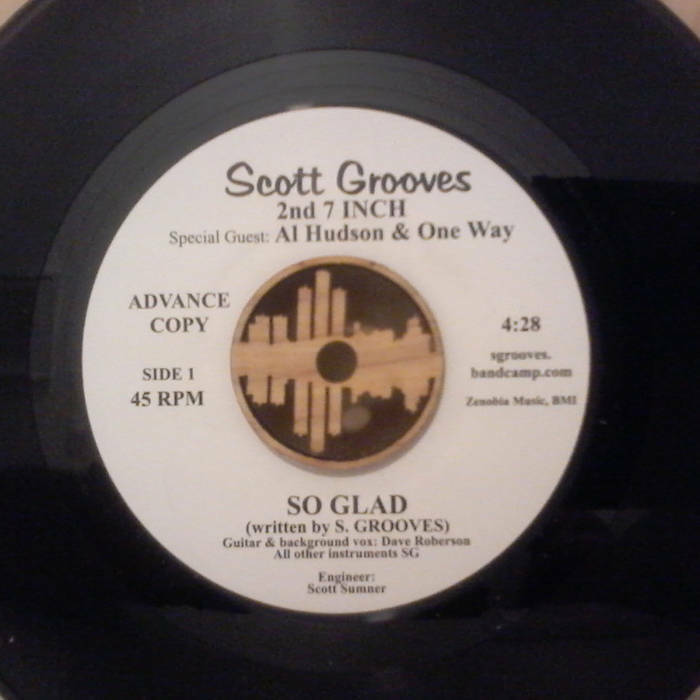 So when the chance came for Scott to write and produce a song with One Way “It was a no brainer…when you can absorb things first hand from guy’s who’s been jamming since the late 60’s and weathered the storm from decade to decade… you are truly in for a treat masterclass-wise” – says Scott. Now we come to the B side “Oceans of thoughts and dreams” an improvised jazz cover of a Dramatics tune that Scott didn’t even know about until it was used by Destiny’s Child. Keyboardist Ian Finkelstein played me a recording from his cell phone of him and organist Glenn Tucker (who by the way played a stint as The Dramatics keyboardist on tour) playing a nice arrangement of the song the previous night at Cliff Bells, a local Detroit jazz spot. Two days later we were in the studio along with drummer Alex White recording that very arrangement…At last the 7’ inch was complete, seasoned veterans on side A & young talented players, wise beyond their years musically speaking on the side B, thus proving that’d music can go a long way to merge the generation gap.